Your closet can become your favorite room in your apartment with a little organization. Luxury apartments, like the ones in Harborside Village, are quite spacious and have plenty of storage. Closets space is plentiful, but are you using it to the best of your abilities? Closets provide an easy place to keep clutter hidden from view, but this accumulation of stuff can be quite the waste of precious storage space. What’s a person to do? Keeping closets organized, clean, and looking great will make your entire luxury apartment feel a bit more open and inviting. The first step in overhauling your apartment can be tedious and unpleasant, but when you finish, your closet will be lighter and you’ll feel refreshed. The concept is simple: go through every item in your closet and make a pile of things you don’t wear, don’t need, or don’t want. Donate what you can and toss the rest. This process should clear up a bit of space in your closet, and give you a clean slate to work with. Keeping your closet organized for a long period of time can be nearly impossible, but it’ll get a bit easier if you create a system. The best way to do this is to by designating a specific location for each different item. Your shoes should have a place, your socks should have a place, and your jackets should be separate from your pants. This simple method of organization will make it easy to find things and easy to put them away after use. Things like bins, shelving, and hooks can make this job a lot neater and a lot easier. You could even consider color coding your items in order to create a visually appealing system of organization. While a single rod in your closet can be great for hanging long items like dresses and trench coats, if you add a second rod, you’ll double your space. This simple project will give you the room to hang even more clothes, and in turn will look less cluttered. Don’t forget about your wall space! Hooks, shelves, and wall hangers can be easily added to the walls of your closet and add even more space. The more places you have to hang and organize, the less likely it is that your clothes, jewelry, and purses will end up on the floor. 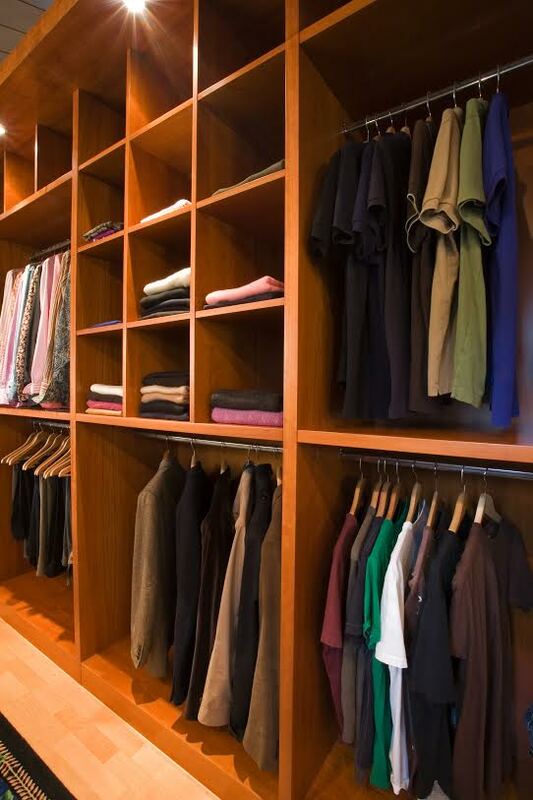 Now that your closet is properly and beautifully organized, you can make it look and feel good. Ask your landlord if you are allowed to paint or replace your closet door. This easy project can bring your closet space to life with minimal effort. You should also consider adding a few interesting art pieces or pictures that will turn the area into a presentable space rather than just storage. Consider hanging satchels of things like lavender or jasmine to make the whole area, and the clothes inside, smell delightful. This entry was posted on Friday, May 8th, 2015	at 2:30 pm	. Both comments and pings are currently closed.